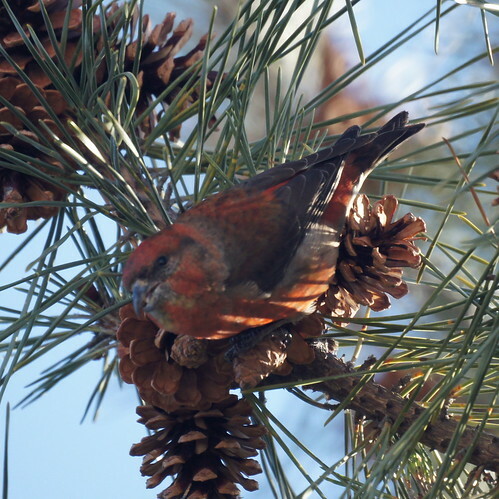 Tired of being cooped up in the house in the winter and encouraged by reports of red crossbill sightings in Long Branch, we set out Sunday morning in hopes of adding this bird to our life lists. When we arrived around 9:00am, there were several birders in the parking lot of Seven President's Park . We didn't see or hear anything to indicate any luck on their part, so we went for a walk along the street behind the park that also had trees with many pine cones. Just as we were about to turn around, Mike saw a bird fly in a pine tree and Chris confirmed with the binoculars it was a red crossbill. We also saw another right below it. Another birder drove over and set up a scope. It's really fun to share a sighting! 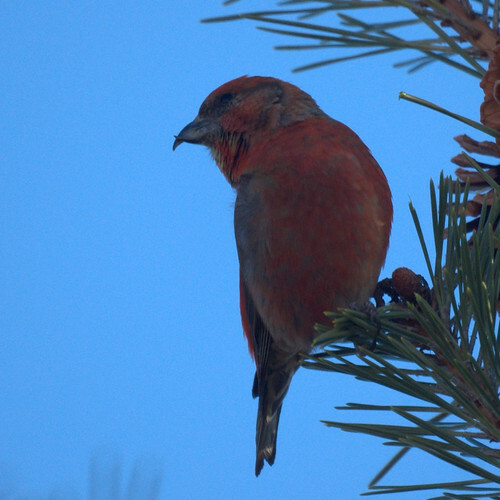 It's also fun when we find a bird that we've set out to see, especially ones as cooperative as the crossbills who stayed put in the same spot for roughly half an hour. It was a great morning being part of a bunch of birders oblivious to blocking a lane of the road who got some good views of the crossbills. What isn't fun is being out in the cold until your fingers are numb - so thankfully it was worth it. 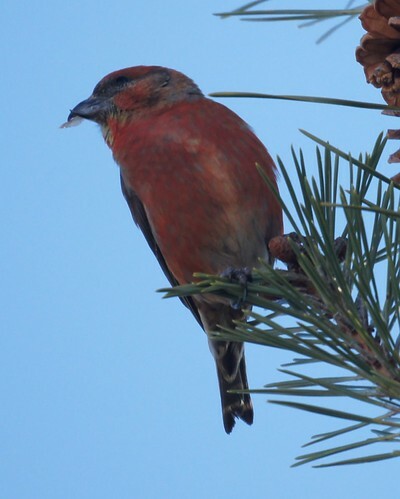 The crossbills eat the seeds from pine cones, using their sharp beaks to open it up. 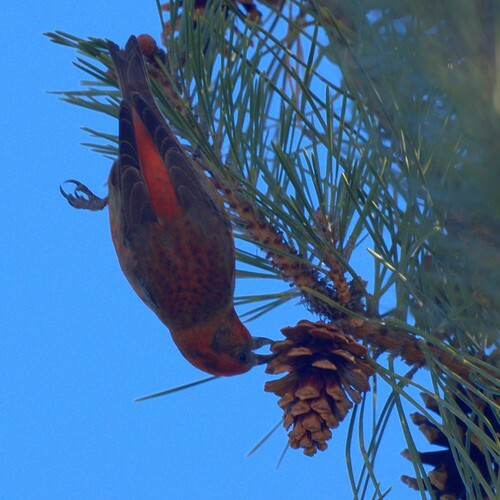 We were amazed to see one hanging upside down holding on with one foot to enjoy its treat.